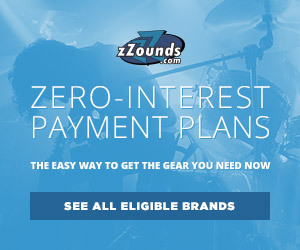 If you’ve ever played a show at a venue with a legitimate PA system, you or someone in your band has most likely needed to use a direct (DI) box. 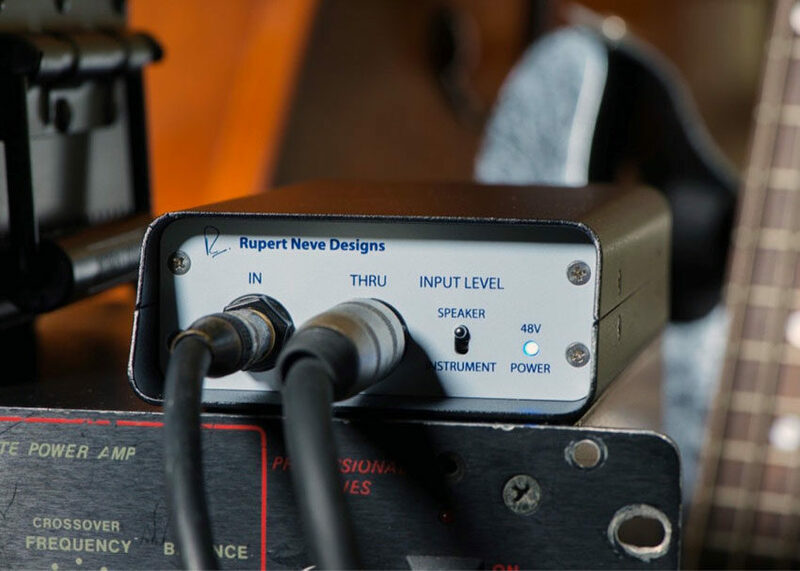 Direct boxes allow you to split your instrument’s signal, sending a balanced output to the front-of-house mixer, and the unprocessed “thru” signal to your amp. In addition to splitting your signal, a DI box converts your hi-z, unbalanced instrument signal into a low-z, balanced signal that a mixing board can accept. While direct box usage is a nightly occurrence for most musicians on tour or gigging regularly, a DI can also be pretty useful in the studio. In a studio setting, a DI box works basically the same way, except instead of the balanced signal going to a PA, it can go directly to your audio interface or console. This allows you to record wet and dry versions of the same track at the same time. Using a DI in this fashion in the studio is definitely much more common for bassists than it is for guitarists, to ensure that the dry, unaffected bass tone is available for the engineer to EQ and maintain low end to mix-in with mic’d amp tracks that are recorded simultaneously. 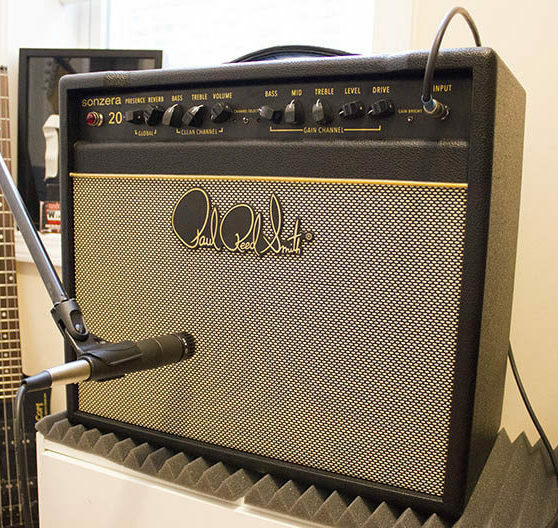 For guitarists, DI boxes can be used in interesting ways to alleviate some of the stress caused by spending too much time moving microphones and tweaking amp and pedal knobs to find the ideal tone. Rather than doing all of that before the first take is even played, you can use a DI box to capture your perfect performance as a dry signal direct to the console. Once you’ve gotten the best take, you can then use a different type of DI box, known as a “re-amp” to take the balanced, line level signal and convert it back into an unbalanced guitar signal. You can then feed your amp and pedal chain with a pre-recorded guitar part that’s perfect every time, giving you all the time you need to dial in the perfect tone and experiment with microphone placement. The name “Rupert Neve” is pretty synonymous with top-quality studio gear and this DI is no exception. Featuring 48V of phantom power, a discrete class-A FET amplifier and a Neve-designed transformer, this DI is perfect for capturing the full harmonic depth of your guitar or bass. 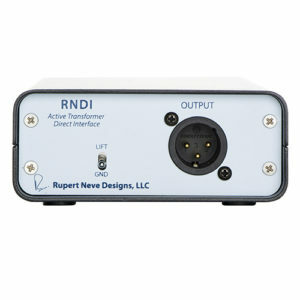 The RNDI is also capable of re-amping due to its high input headroom of +21.5dB. Just connect a channel output of the interface to the input of the RNDI and connect the RNDI’s output to the preamp and engage the phantom power. One of the most “go-to” DI boxes, the Radial J48 MK2 can be found in most professional studios and venues. The J48 uses 48V phantom power and optimal headroom to accurately relay the sound of your instrument with low harmonic distortion. 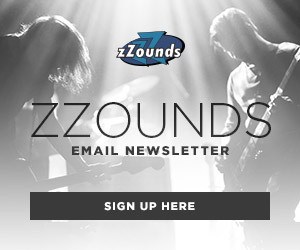 This ensures that when you turn around to re-amp your clean guitar tracks, or blend them into the mix, you’re working with the cleanest, most unaffected signal possible. While it definitely sits on the more expensive side of the DI spectrum, the Rupert Neve Designs Portico 5017 is made well worth it thanks to its many features. Not just a DI, the Portico 5017 is also a preamp/compressor, dripping with legendary Neve preamp tone. 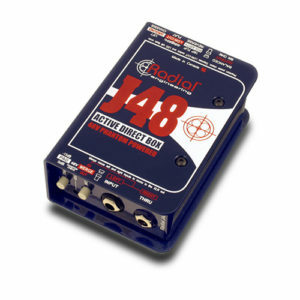 The DI input and the mic pre can be used simultaneously, and the Portico 5017 also has a blend control that can be used to combine and compress the direct and amplified signals. 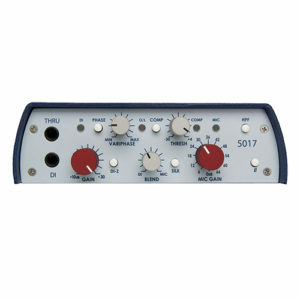 The Portico 5017 gives you everything you’d want from a Rupert Neve box, but in an easily portable unit. 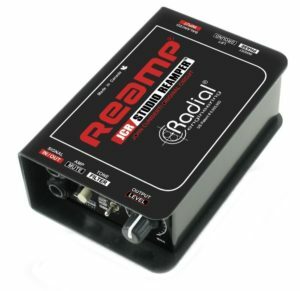 For dedicated re-amp usage, look no further than the Radial Reamp JCR. This studio re-amp unit features separate XLR and TRS inputs, a variable output level control knob and a John Cuniberti-designed, custom-wound transformer and circuit. A three-position filter switch lets you tame excessive highs, warm-up low-end or simply bypass to get the original signal, depending on what you’re going for. The on-board mute function is also a nice touch if you need to quickly silence the signal so you don’t go deaf while adjusting microphone placements or tweaking knobs.